Every other Wednesday, the warmth of Allenians spreads from Allen House to the outside community. 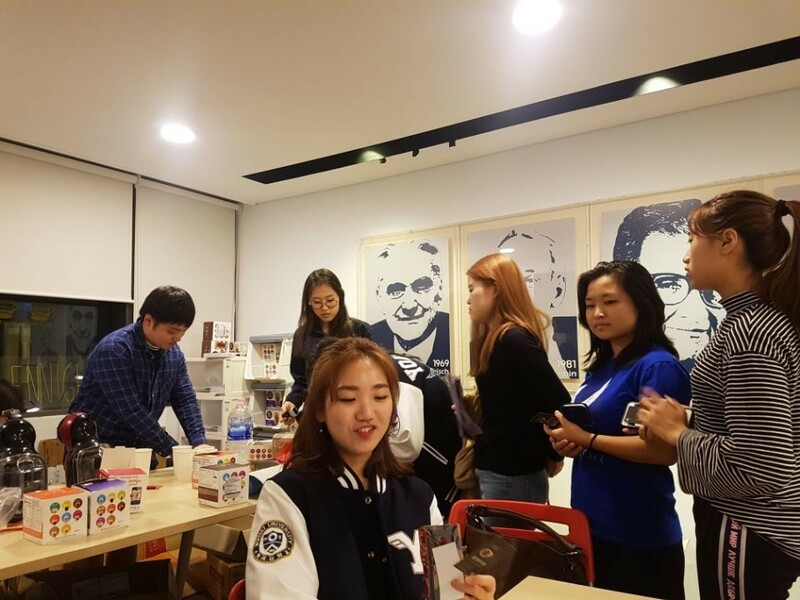 Allen Café, managed by three RAs (RA Yoojeong Kim, RA Shinyoung Yeo, RA Dain Kim) has been selling various kinds of beverages at the RA office. RAs opened Allen Café on the purpose of helping people in need. Also, the Café provides an opportunity for Allenians to get to know one another while they are playing board games and enjoying beverages together. As a result of actively publicizing the motto of Allen House, “We Rise by Lifting Others”, Allen Café earned more money more than expected and has donated all the profits to Children's Cancer Foundation. This semester, unlike last semester, Allenians have started to manage Allen Café themselves without any help of RAs. Three Allenians who are chosen every other week open the Café, prepare for the sale, set the board games on the table, make beverages, and give stamps to participating Allenians. Even though the helpers were educated only for 20 minutes, they have been successfully managing the Café with great responsibility. Like last semester, Allen Café succeeded to make many Allenians join this indirect donation. There are several factors that have drawn the Allenians to visit the Café so often. First, every beverage is only 1000 won that the price has never been economically burdensome. In addition, tasty drinks and board games make their lively conversation even more joyful. Also, they get one RC point for three stamps which prove their three visits, thereby constantly being motivated by a strong incentive to visit. The last factor, most importantly, is that warmth conveyed by contributing to presenting gifts for the people in need. Lastly, through a free donation box that Allenians have been able to limitlessly spread their warmth of their drinks and their memory in the Allen Café, thereby hugely raising their volunteer spirit and also the profit of Allen Café. 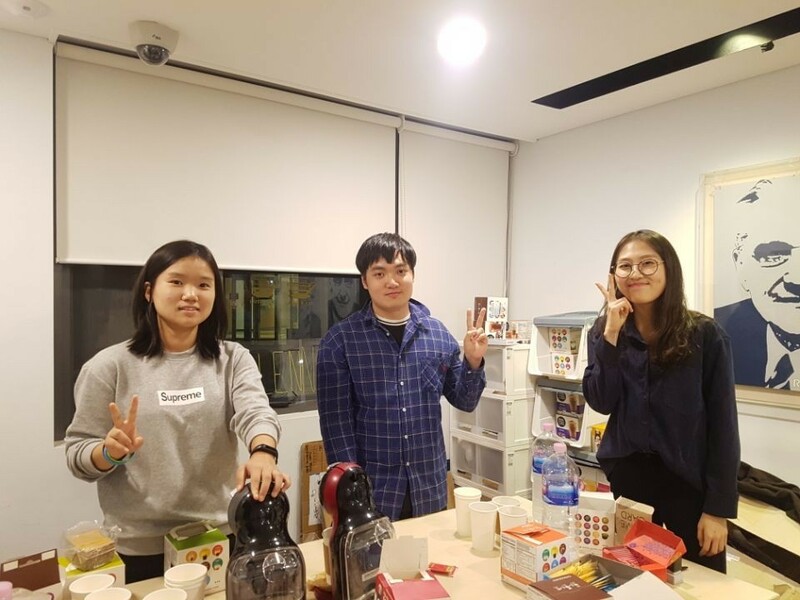 Thanks to the helpers, Allenians, and even students from Aristotle International House who visited the Café with their Allenians friends, Allen Café already earned more than 200,000 won, reaching towards the aimed profit. Allen Café will continuously share its history with Allen House for the succeeding semesters to deliver warmth and volunteer spirit of Allen Cafe for those in need.